Our web design clients consistently tell us their biggest challenges are improving visitor engagement and promoting their services online. At Byte Technology, we understand that creating a successful online presence isn’t a “one-size-fits-all” undertaking. By choosing the right technology tools for your organization, Byte Technology can help you create online strategies that foster engagement —allowing you the capability to build stronger relations with the people that matter to your organization most. Engaging, beautiful websites to promote your message and drive interaction. The latest in CMS tools that's powerful enough to scale and grow with your organization. Helping you establish key performance indicators (KPI) to measure success. Double the delivery speed of your website. Highly recommended for WordPress websites. Let your business goals drive your technology choices. Learn more. A passionate web team can help ensure a simple, streamlined process. Keep your site fresh and easy to update with our on-site WordPress training. Have An Urgent Web Update? Call us (612) 204-4921 to get a quick turnaround. Let's meet and learn about your nonprofit digital goals. Call (612) 204-4921. 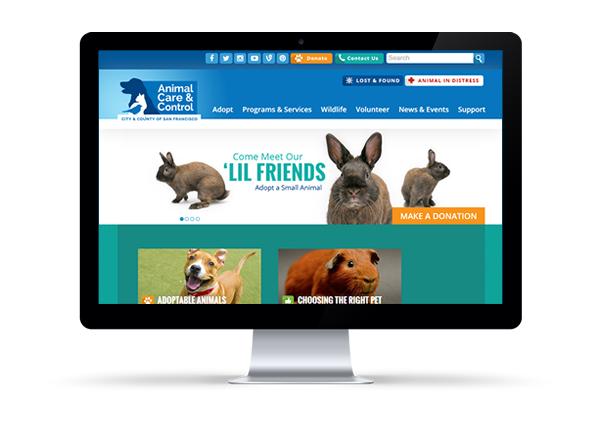 Browse our latest nonprofit website projects. We utilize the very latest in design elements and platforms, keep our finger on the pulse of what’s working in the online sector and constantly seek to educate both our clients and ourselves. Aside from responsive web design and development, Byte also provides database tools; multilingual and ADA-compliance; the creation of Content Management Systems and mobile apps; and support for e-newsletter campaigns. We also encourage and assist with the use of social media, promote strategies for successful name recognition and branding and act as a reliable resource for advice and information, providing regular audits and suggesting improvements to help your organization operate at its very best.